TomCat’s powerful scrubber polishers are ideal for restoring Terrazzo, Marble & Concrete Floors. The SNAP diamond polishing stytem is designed for restoration & routine maintenance. Make the best of your hard floors with a package tailored for yor requirements. Get the right floor cleaning equipment & fix the cost for up to 5 years. TomCat commercial floor cleaning equipment is available in the following product groups. TomCat has a large range of models with different scrub deck styles, which enables us to select the right machine for the application. Find the right machine & system for your floor cleaning or preparation problem. T C Cleaning Machines shared a photo. 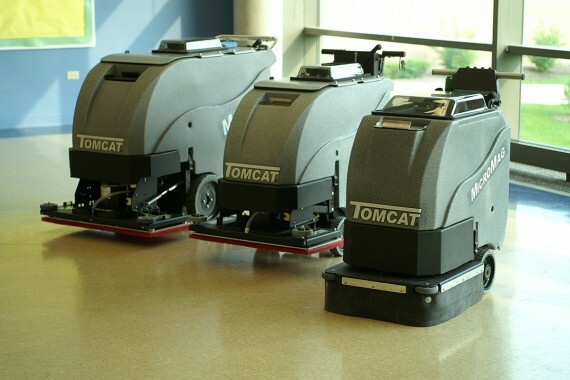 TomCat Commercial Floor Cleaning Equipment has the reputation for manufacturing the most durable cleaning equipment built to the highest standards systems of the highest quality available in the market. More than 400 distributors in over 40 countries share the TomCat passion and operate a large network of TomCat machine users.